Are neoliberalism and Trump’s populism incompatible? In the scattered debates that have arisen in the wake of his presidential victory, these two somewhat vague terms are contrasted with one another in order to make sense of his rhetoric of protectionism for US manufacturers and labor, to the detriment of immigrant workers. To say nothing of the fact that the previous White House occupant had deported approximately 2.5 million people from the United States, there appears to be something approximating continuity between the two men in this regard (and arguably, this stretches further down the hierarchy of the executive branch). While immigrants are arguably among the most sensitive to the recent assault on labor, there is little evidence to suggest that native born workers will therefore enjoy higher wages in their absence. Trump obviously does not support unionization and does not support any national referendum on raising the minimum wage at the federal level. So then why the optimism among conservatives who seem to believe truly that the exclusion of illegal immigrants will benefit the American worker? Or, perhaps more germane to this audience — why is Trump’s populism being posed as a reactionary check on neoliberalism? A look at John Smith’s latest work, Imperialism in the 21st Century (Monthly Review Press, 2015) may provide some grounding in the problem as he looks at the “neoliberal turn” in the imperialist world order. In this ongoing obfuscation of the Global South’s contribution toward the economic values ingested by the Global North, what is really at stake is how neoliberal capitalism still manages to use the existing channels carved out by imperialism centuries ago. With the opening of China in 1978 and continuing through to the collapse of Stalinism throughout the 1990s, an unprecedented market of cheap, exploitative labor was there for the taking. Smith plots the trajectory: starting with low-tech items such as toys and clothing, Northern transnational corporations (TNCs) were ultimately able successfully to export even more technology-intensive manufacturing at the cost of paying the producers less and less in wages. Armed with the ability simply to close shop and hire cheap labor abroad, firms increasingly began to take part in industrializing the Global South — faster than the previous mode of state-led attempts at developmental autarky or some new form of economic nationalism. For John Smith, the result is not simply a new trend within international trade, but a new element in Marx’s categories of absolute and relative surplus value — a third form of it, wrought from what academics refer to as global labor arbitrage, or globalization of cheap labor. 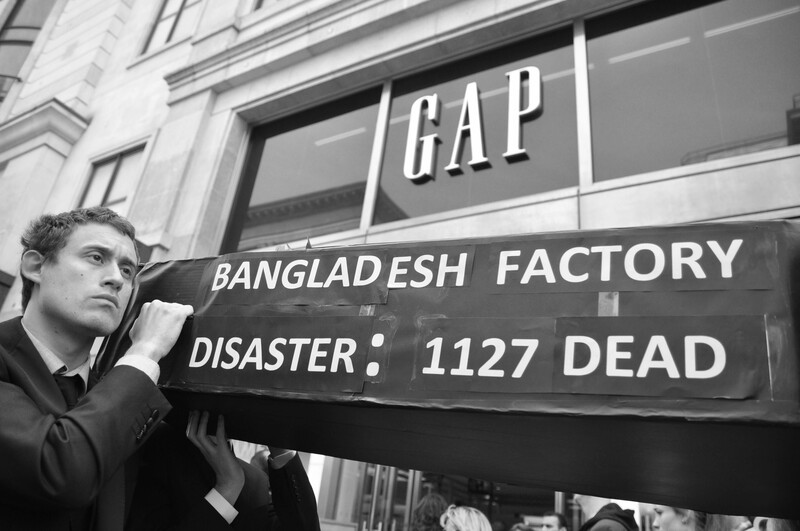 It is this movement of cheap wages into the Global South which defines the operation of neoliberal capitalism, or imperialism in the 21st century. One of the main attributes of this new imperialism is that Northern firms often prefer to use local intermediaries to outsource their labor, and get around any legal — to say nothing of moral — responsibilities tied to the host country’s labor practices. 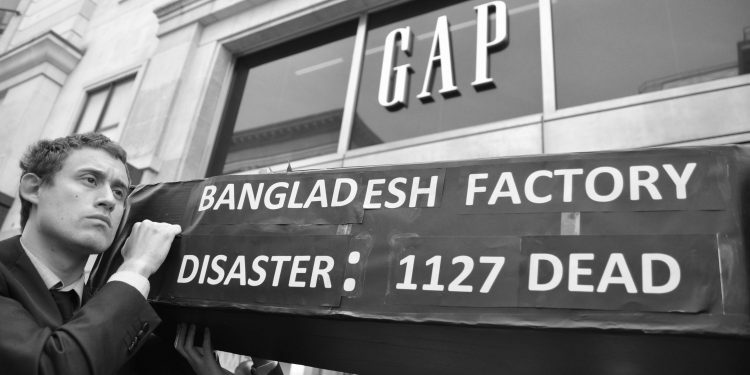 It is how in the wake of the collapsed garment factory in Dhaka in April of 2013, Gap, H&M, and Walmart were able simultaneously to lash out at the prevailing safety codes in brutally impoverished Bangladesh, all the while legally distancing themselves from having any culpability. Smith also cites Coca-Cola’s ability to absolve itself from contractually-obligated guilt when its Colombian subcontractors hire paid thugs to assassinate trade unionists. Since these subcontractors are often based in countries that are dominated by Northern imperialism, the respective political regimes frequently respond with violence and intimidation, de facto tolerated in the West so as to keep their labor market competitive. Such is the hidden cost of their relative comparative advantage. With Northern firms’ operations not being the sites of the lion’s share of labor (or guilt) and Southern subcontractors applying what brutal methods they need to keep their workers attractive to capital, the relationship works out fairly well for the most part. What can we deduce then from this brief sketch of Smith’s argument? For one, Trump’s populism ought to be grounded in a materialist analysis beyond its reprehensible xenophobic rhetoric. Second, by offering major tax credits to American auto manufacturers that come at the cost of social spending, Trump could renegotiate NAFTA to be more detrimental to Mexico, without actually reducing outsourcing much. It would preserve outsourcing of parts of production, just on worse terms of trade. At the same time, consistent and more aggressive attempts to enhance border security and improve deportation capabilities ensure that labor, unlike capital, is more restricted in its movement, contributing further to the growing reserve army of labor in the Global South, in which competition between Northern and Southern workers increases, spilling over into an even more cutthroat competition among Mexican or Salvadoran workers for small scraps of the wage. It is entirely conceivable that Northern firms that reap major profits off of super exploitation abroad could at the same continue to underpay or super-exploit migrant labor working within the US. In this regard they are two ends of the same dynamic at play. Trump’s populism therefore cannot be understood strictly along the lines of economic nationalism tantamount to the German National Socialism of yesteryear. Populism, ironically, carves out and abstracts from an already diverse working class in the United States, one composed not just of native-born workers, but those who are also immigrants, regardless of their status. But in doing so, Trump and those who support his perspective are able provide animus for the further immiseration of not just the native-born or immigrant workers, but also the ongoing exploitative relations for workers well beyond the US border. In this sense, Trump only bolsters the existing neoliberal movement of capital both within the United States as well as outside of the country, using populism as a means to further divide workers everywhere. Populism is thus the sharpened spear-tip of neoliberalism, and it is unlikely to see defeat at the hands of a more socially and economically nationalist framework.